Hide Your Wallets - These Labor Day Sales are Good! Ahh Labor Day, another holiday that companies use to make us go broke by offering us incredible deals on our favorite items [not complaining]. Check out my favorite sales below as well as the items I think are the best from each site! Take 50% off site-wide, excluding sale, with the code "AMERICANGIRL". Free shipping for orders over $50. 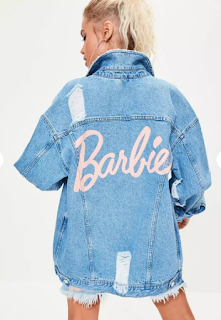 Best thing on sale: Their Barbie x MISSGUIDED Blue Long Sleeve Printed Back Denim Jacket. Originally $114, you can get it for $57 during their Labor Day sale. P.S. I bought this and absolutely love it!! Take an extra 40% of ALL sale items, updates automatically in your cart, with free shipping on orders $150 or more. Best thing on sale: Sundays Top and Skirt Set. Originally $138; on sale for $49.95; You get it for $29.97. That's basically a steal! Take 40% of full-price AND sale items, added at checkout. Best thing on sale: The Savanna Suede Buckled Boot. Originally $149; on sale for $74.50; now $44.70! Take an extra 40% of ALL sale items with the code 40SAVE. They also offer free shipping for orders over $50. Best thing on sale: The Besame Rapido Black and White Floral Print Wide-Leg Pants, originally $69, now on sale for $11.40 & The Barbados Black And White Floral Print Halter Top, originally $42, now on sale for $7.80. So you can get this set for under $20! I just bought this and can't wait for it to come in! Extra 40% off sale, PLUS they're having an end of season sale with items up to 60% off. Best item on sale: Coated Skinny Utility Jeans. Originally $99.00, they're on sale for $69.30. I have these and I'm so obsessed! Whenever I have to wear black, they're my go-to because they're chic but also can look professional if you pair them with black heels and a blazer. Holidays are such a fun time of year with all the sales!! 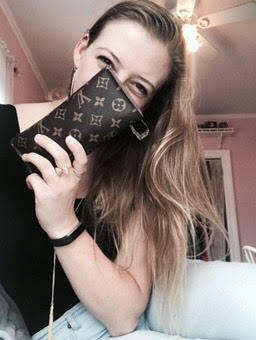 You are so right...I really do need to hide my wallet for myself, gahhh! All the codes but no money, and I've got the worst kind of control!